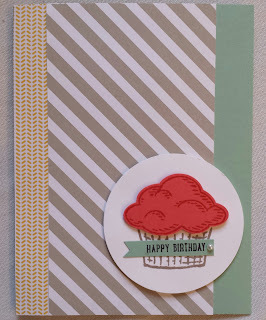 By The Shore Stamping with Jen Pitta: So... Have you seen it? Unlike with children, however, I seem to like each new catalog better than the last and this year is no exception! I've been super busy the past week or so unfortunately there's still TONS of unopened brand new toys in my craft room... gasp! But one of the first things I ordered way back a month ago (did you know as a demonstrator you get to have a sneak peek at new catalogs and pre-order from them a month in advance? Cool, right?) 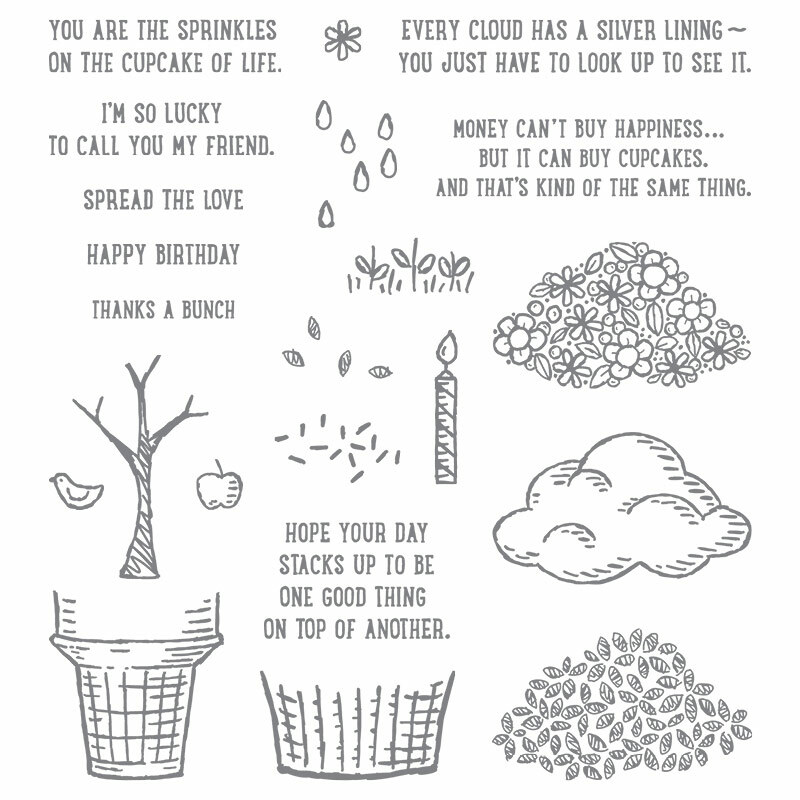 was the Sprinkles of Life stamp set. It is this year's Ronald MacDonald House Charities stamp set. 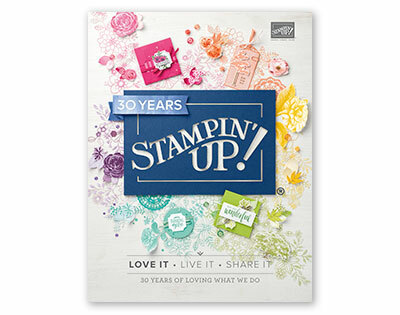 Each year Stampin' Up selects a stamp set and donates a percentage of each sale to the Ronald MacDonald House Charities. This year it's Sprinkles of Life and $3 of every stamp set purchase goes to RMHC. And I personally think this set is one of the best ever... AND it has a matching punch. I love that you can use this as a cloud, an ice cream cone, a cupcake or a basket... so, so clever and cute! 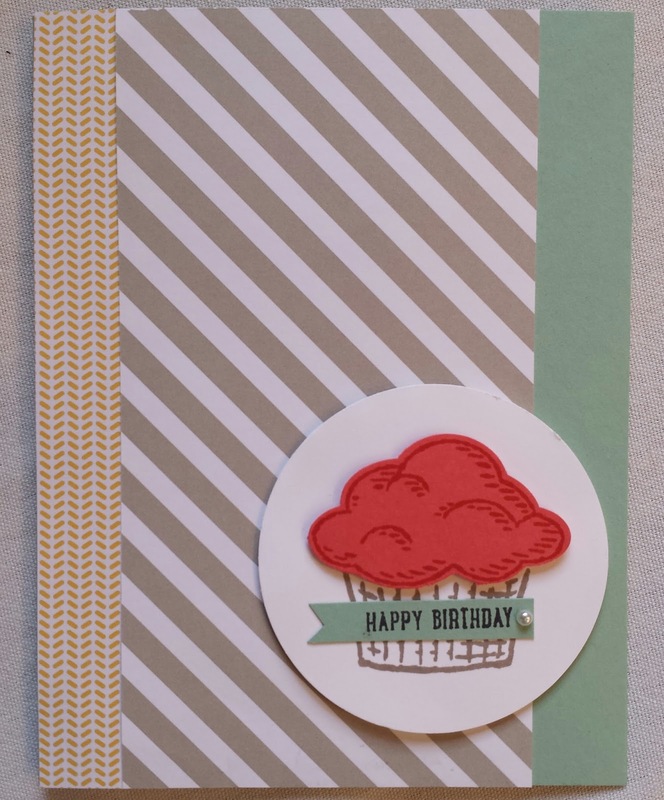 Are you interested in having a little night out to make four "stepped-up" cards each month? This is how stamp club works -- each month (for a minimum of 6 months) you commit to purchasing a minimum of $30 in Stampin' Up product in exchange for the four make-and-takes we put together. Once in that 6-month commitment you will receive a $30 product bonus for free. 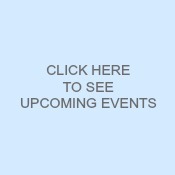 We meet the second Thursday of every month (so this Thursday!) at my home in Harwich Port. BUT if you're not nearby, I also offer this class "To Go." I email my "to go" members at the start of the month with the stamp set we'll be using and what color inks I'm using for my cards and then you would go online and purchase your products in my online store using the hostess code I assign you. Once I receive that order, I send you the cardstock and any embellishments we used all cut and packaged in your envelope. Let me know if you'd like to give this program a whirl... it's a super fun way to learn some new techniques and have an easy way to create (after all, I've done all the thinkin' work for you!). Email me at jen pitta at comcast dot net for more information. 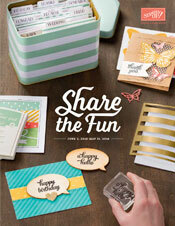 And feel free to check out all the other fun goodies in the new catalog here.